By consenting to mediation, litigants can develop personalized solutions tailored to their goals and needs. 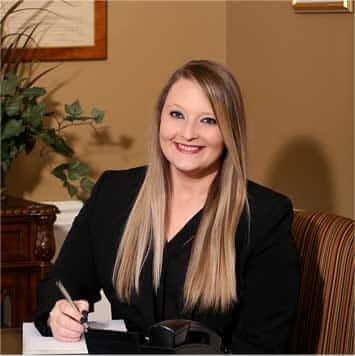 Attorney Cynthia Wyrick is a Rule 31 Tennessee Supreme Court-approved mediator with extensive experience mediating civil cases and family law matters. In her role as mediator, she tries to assist litigants in reaching mutually satisfactory decisions that are workable for both parties over time. From offices in Sevierville, Ogle, Wyrick & Associates, P.C., attorney Wyrick provides mediation services to clients in communities throughout the Knoxville area and East Tennessee. We also represent those from outside the area who have a need for mediation in East Tennessee. Clients know they can count on our firm being here to serve them for the long term, as we have been doing for over 60 years. Call us at 865-453-2866 or use our convenient email contact form to schedule a free initial consultation with Sevierville mediation attorney Cynthia Wyrick today. Mediation is the process of reconciling a legal conflict through compromise — rather than submitting to the binding decisions of a judge in court. In mediation, an unbiased mediator guides the conversation on the matters at issue. The litigants and their attorneys discuss the options and try to reach agreements that work for both parties. In most cases, mediation is a faster, more cost-effective and less stressful alternative to courtroom litigation. The litigants share the cost of mediation and may be able to avoid the expense of formal discovery such as costs associated with requests for records, written depositions, production of documents, answers to interrogatories and oral depositions. Our office hours in Sevierville are from 8:30 a.m. to 5 p.m. weekdays. Evening and weekend appointments are available by special arrangement. Free parking is available. Call 865-453-2866 or submit our email contact form with a brief description of your mediation needs. We will reply as soon as possible.